Showing our love for "Beauty and the Beast"
Women's History Month is packed with activities for members of the FF2 Media Team. 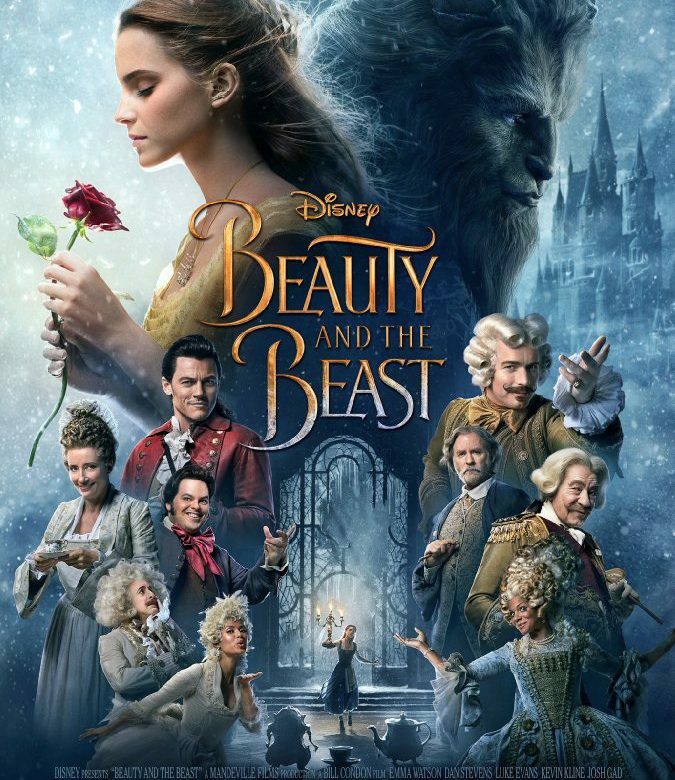 But as we all ran from film to film at various festivals and special screenings (not to mention celebrating the 10th International SWAN Day on Saturday March 25th), most of us found time to sneak into a local multiplex for a screening of Disney's newest version of Beauty and the Beast. Technically, this film is not on our "beat" (although the screenplay credited to Stephen Chbosky and Evan Spiliotopoulos in 2017 is heavily based on the screenplay Linda Woolverton wrote for Disney's animated version in 1991), but that doesn't mean we can't show our love for this outstanding adaptation. If I ruled the world, Bill Condon would already have 3 Oscars on his shelf, one for his Chicago screenplay, and two for writing and directing Kinsey. So I am hoping that 2018 will be Bill Condon's Oscar year because his version of Beauty and the Beast is close to perfect in almost every way. As the daughter of a woman who suffered from Alzheimer's Disease, I want to give a special shout-out to Kevin Kline as Belle's father "Maurice" for his deft portrayal of early dementia. But that said, everyone plays back-up to Emma Watson as "Belle," and everyone rises to the occasion. Emma Thompson as "Mrs. Potts," Ewan McGreggor as "Lumiere," and Audra McDonald as "Madame Garderobe" all had me in stitches. The one downer for me was Dan Stevens as The Beast. Although Stevens did manage to convey a tender soulfulness ("The eyes are the mirror of the soul. "), I wish Condon had cast someone with a stronger singing voice. Otherwise, as I already said, close to perfect in almost every way. 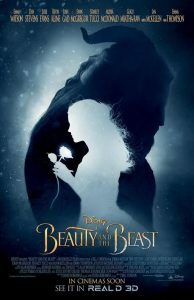 An enchanting movie-going experience from start to finish, Beauty and the Beast taps into the magic of Disney nostalgia. Emma Watson returns to the big screen as "Belle," a bookworm wanting so much more than her little town has planned for her. Still relevant in 2017? Sure is. 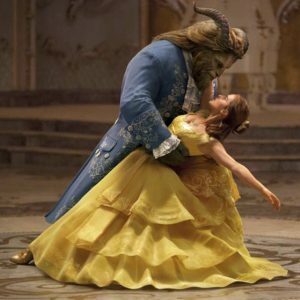 With surprising chemistry opposite Matthew Crawley, err, Dan Stevens, the "tale as old as time" feels refreshingly new and jam-packed with musical numbers, special effects and richer back stories for its cast of characters. The story serves as a nice reminder that for the past 26 years, we've all had the privilege of being their guest. “Hello, old friend,” the beast says to one of his pals at the end of Bill Condon’s Beauty and the Beast. I greeted this live-action adaptation in a similar way: with open arms and a content sigh, singing along and smiling all the way through this beautiful little story we’ve all known for so long. A delightful little world to duck into for a while, the same way Belle escapes into books. To the naysayers who question why a remake was necessary, look no further than the stunning Emma Watson as "Belle" and the hilarious Josh Gad (who should be in every movie) as "LeFou." Disney is going through the cannon and gracing us with live-action features galore! But as much as Beauty and the Beast is a personal favorite, I have some serious problems with Emma Watson as Belle. Emma, though a talented activist and positive force for women worldwide, is not a singer. I’m not quite sure why she was cast as Belle, other than she had a similar love of books in the role Hermione from Harry Potter. Listen, I love Emma. I think she’s talented and a wonderful person, but she is not a singer. Her voice is painfully mixed to the point where it seems autotuned, and next to the powerful voices of Luke Evans (Gaston) and Josh Gad (LeFou), Emma’s lack of breath support is glaring. Her performance also left me missing the stubborn and headstrong cartoon character we all know and love. 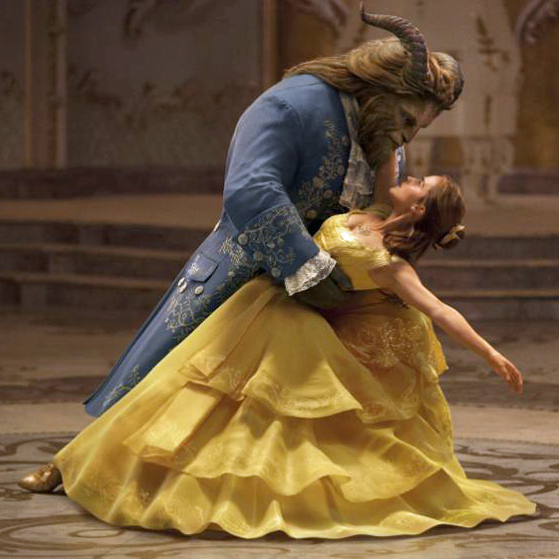 Her portrayal of Belle is lacking that fiery feminist streak that makes Belle so strong. Hey, this film is still great. Director Bill Condon, with writers Stephen Chbnosky and Evan Spiliotopoulos, have snuck in some amazing Shakespeare references to heighten the story. LeFou is the epitome of a Shakespearean fool, which becomes clear in the song “Gaston” when we see that LeFou is actually the mastermind behind Gaston’s “hype” in the town. We learn that Belle loves Romeo and Juliet, and, when storming the castle, Gaston yells “screw your courage to the sticking place!” that’s right, Lady M quotes! Beauty and the Beast is absolutely worth the see. 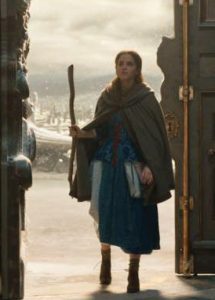 Top Photo: "Belle" (Emma Watson) arrives at the enchanted castle. Middle Photo: Belle in her iconic yellow dress by Oscar-winning costume designer Jacqueline Durran. 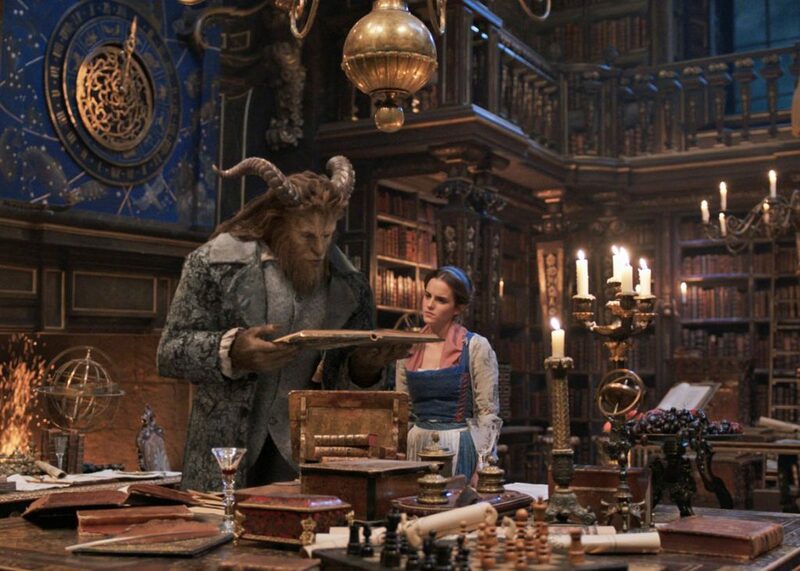 Bottom Photo: "The Beast" (Dan Stevens) wins Belle's heart by showing her all of the books in his fabulous library.